Nationwide Appraisal & Settlement Network (NASN) has launched a reverse mortgage division along with two other new divisions it says will broaden its reach across lender types. The Oldsmar, Florida-based company says it is developing the new divisions to enhance its client service experience. “At Nationwide Appraisal and Settlement Network, we work with a number of different lending institutions and we believe it’s important to establish division within our corporate structure that will assist these client types from order placement to final submission of an appraisal report,” says Joni Pilgrim, Director of Sales and Marketing at NASN. In addition to its core appraisal operations team, Nationwide has implemented the reverse mortgage division as well as departments specific to hard money and mortgage servicing. 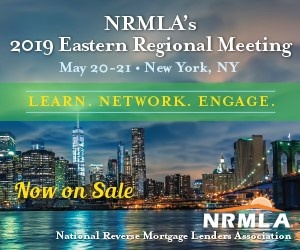 The decision to reach out to clients in the reverse mortgage market is fueled by the desire to encourage consumer knowledge on the products available to them so that borrowers can make informed, educated decisions before entering into any loan, the company says. “We believe that the incorporation of these divisions will help to promote a better understanding of the products these clients offer to their borrowers. The team members in each division act as a resource to the borrowers, the appraisers, and the clients by having a strong understanding of what these clients do and what our role is with each of them as their Appraisal Management Company,” says Joni Pilgrim, director of sales and marketing at NASN.